Well the birthday package is off! 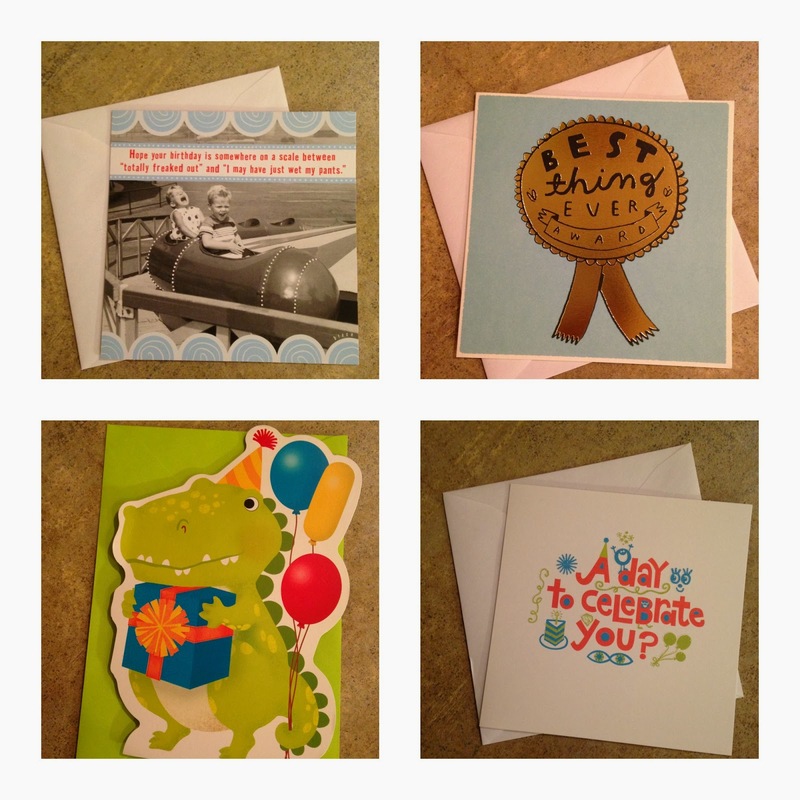 I wanted to give you a heads up and a thank you for voting on which Hallmark card to send my brother last week. The results were close between the fortune cookie card and the moo-sical card, but the fortune cookie card won! I have to be honest though- I broke down and sent him all three. I just knew he would enjoy each of the cards and that the package wouldn't weigh much more for sending the cards too. He should get it this week and hopefully I'll get an email from him with a fun report. I wish we could celebrate with him- but I'm so proud of what he is doing there. Because I was alone when I shopped for Cody's card, I was able to browse for other cards as well. Kesler has a birthday next month and Soren's is in November so I grabbed them each a card too. I just know that Kesler will love the musical dinosaur card and I'm sure we won't hear the end of it. We all know that I like to plan ahead so it felt good to stock up on cute cards for upcoming birthdays. Be sure to check out Walmart's Hallmark card aisles next time you are shopping alone or are on one of those fun 'Walmart dates' that sometimes happen to us. You'll be surprised by how much fun the cards are to look at and listen too! Your heart deserves everything get here You desire, So dream a bday dream, ‘Cause I wish you to fly higher!